Goa is hands down one of the most talked about holiday destinations in India. So much has been said about the state’s party scenes and beaches that a lot of people are oblivious to Goa’s offbeat side. If you have enough of the sun-sand-and-beach dose, this post will acquaint you with Goa –beyond beaches and clubs. Here’s what you should do on your next holiday in Goa. Acquaint yourself with Goa’s diverse flora and fauna by paying a visit to some of the popular wildlife sanctuaries including The Mhadei Wildlife Sanctuary, Bondla Wildlife sanctuary, Mollem national park Cotigao Wildlife Sanctuary, Salim Ali Bird Sanctuary and the Bhagvan Mahavir Wildlife Sanctuary. Love adventure? Indulge in white water rafting to get your fill of adrenaline rush. Best time – July to September at Mahdei Wildlife Sanctuary and October to December on the Tilari River. 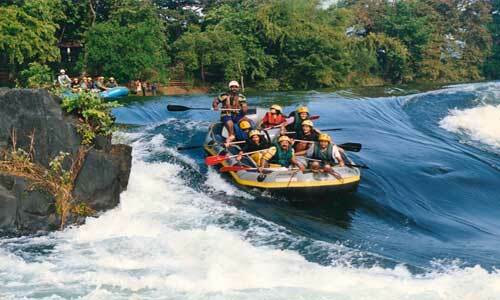 Tips – Rafting on the Tilari River is for the daredevils with high fitness level. Like getting up close with nature? 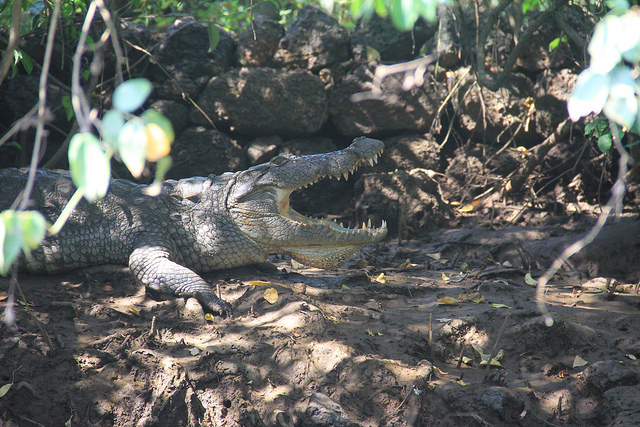 Include crocodile spotting in your list of things to do in Goa. You can arrange a boat trip to Cumbharjua Canals, home of the crocodiles. 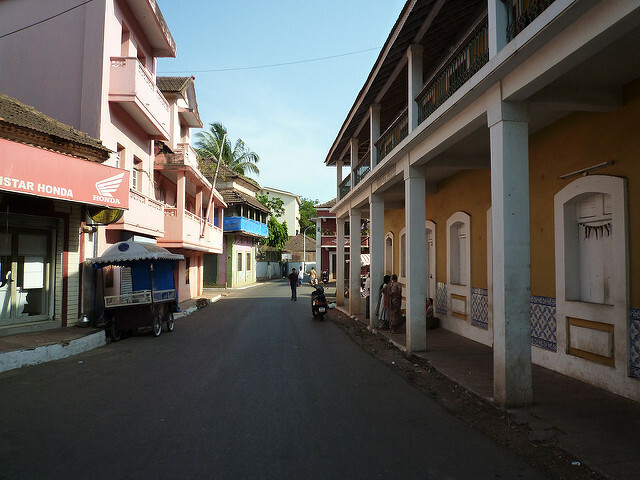 Take a heritage walk from Panjim to get an interesting insight into the 450 years era of Portuguese colonialism. These colourful houses are objects of photography. Also, explore the historically significant island of Divar, which lies just before the place where River Mandovi meets the Arabian Sea. This little exotic island is bordered by thick foliage of mangrove. Famous for its Old Portuguese villas, a walk through the island will acquaint you with distinct architecture style. Tips: Best mode of transportation is a car and explore on foot. 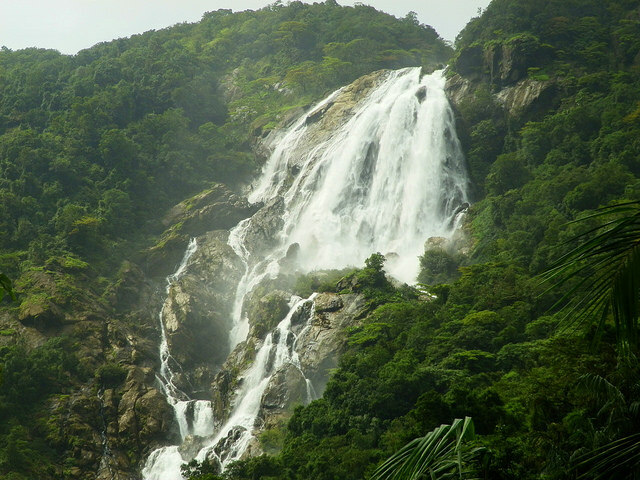 You cannot miss out on Dudhsagar falls while exploring the offbeat side of Goa. Situated on the border of Goa and Karnataka, the sheer beauty of this natural wonder is sure to cast a spell on you. You can reach here by bus and taxi. Best time – Anytime between October and April. Cost: Depends on your mode of transportation. Tips: Avoid visiting during monsoon. 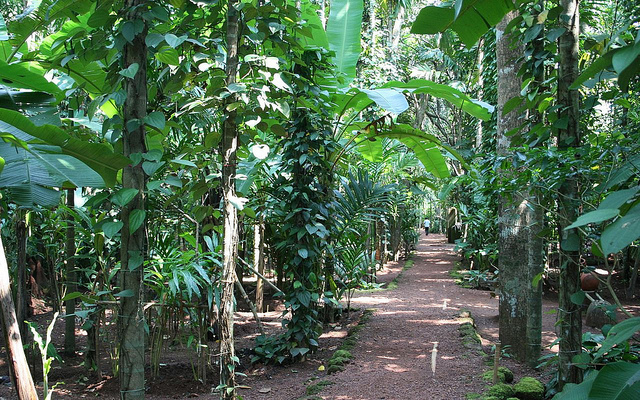 Take a guided tour of the Tropical Spice Plantation and get mesmerised by the riots of colours in the butterfly Garden and pleasant sight of around 75 species of birds within the plantation. Guests are welcomed in a traditional way of offering Aarti, kumkum and a garland of flowers. Embark on a cruise from the Spice Garden to take a trip back in the time of old Goa. 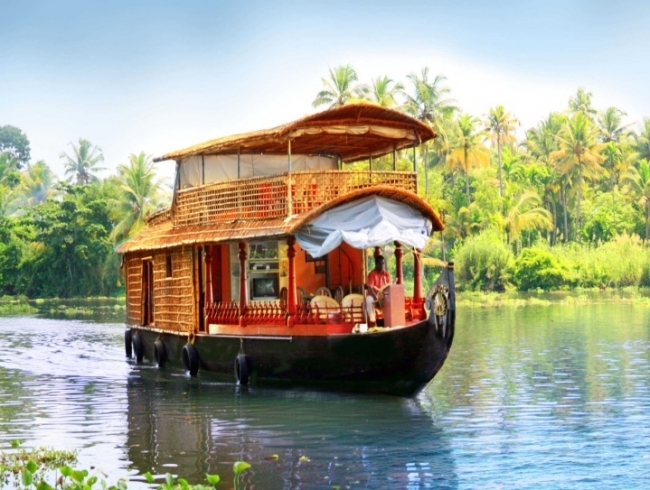 You can witness miles of greenery and thick mangroves while cruising along the banks of Mondovi River. Sumptuous Goa food is served as lunch. Tip: Book everything in advance before you pick one of our top selling Goa tour packages. Enjoy a unique culinary experience in Goa at Siolim Cooking Class. 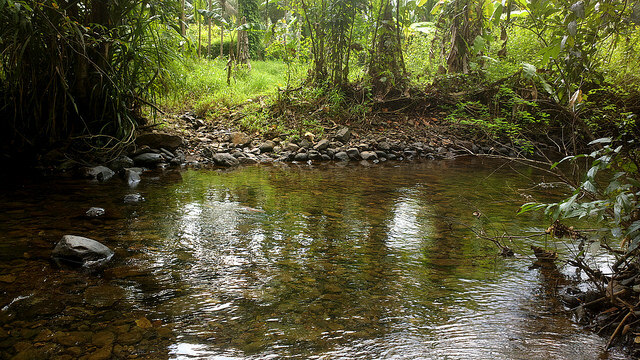 The Siolim cooking school was opened in October 2012 and is located near the untouched village of Siolim. Here you can learn to cook traditional Goan food with local chefs. Cost: Rs. 2500 for a 4 hours class and market visit or you can also enrol for a several days workshop for an intensive cooking experience. 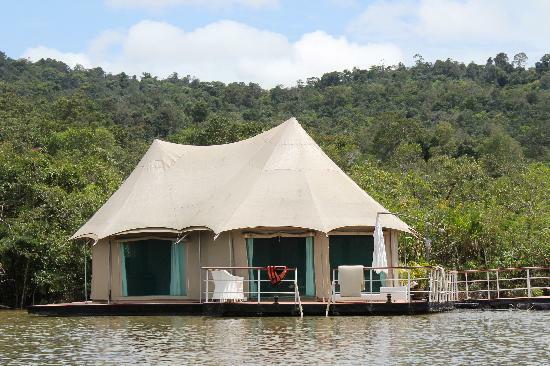 How about enjoying the eclectic charm in a luxury tent floating on a secluded beach? Away from the maddening crowds, the Quiet and calm night under the stars is an experience. You can sleep, eat and gaze at the sky to enjoy the other side of the hippest place in India. For art lovers, music, literature and theatre are the perfect retreat. The Panaji Kala Academy is the ideal place to watch theatre performances in Goa. Konkani Tiatr is famous for its high entertainment value. Let the adventure beans catch you! Experience the jungle canyoning day trips at Palolem, South Goa. Have the most exhilarating moments of your life at a nominal price of Rs.2, 600/- and an additional Rs130/- for pictures and videos. And you will need to travel through canyons using various techniques including walking, scrambling, climbing, jumping and abseiling. Definitely not for the faint heart! Tips: 50% amazing and 50% terrifying. A must for adventure seekers! If all these activities sound like a plan, book one of our best Goa holiday tour packages today and venture into everything that has inspired in this post. Goa holiday packages allow you to venture into fun activities that you have never tried before in Goa. Yes! that's offbeat Goa.